MARCH 29, 2018 – For Jews who observe the dietary laws of Passover and love pancakes, it will be a long eight days before they can enjoy them. Pancakes fall squarely under a category of food that the Torah calls chametz: any sort of combination of bread and water that has been allowed to rise. The origins of this prohibition are well known: Jews had to escape from Egypt so quickly, their bread did not have time to rise, so they had to eat what we now call matzah. We are restricted to matzah on Passover to commemorate their perilous journey. Not surprisingly, different denominations of Judaism observe the prohibition in different ways. For the most observant, it’s not enough to simply avoid eating chametz. Before Passover begins, painstaking efforts must be made to make sure that no chametz is found anywhere in the house. Friedman recalled that during his childhood, there was so much cleaning to do before Passover that he and his siblings were assigned different jobs, all to ensure that no chametz was found anywhere in the house. His particular assignment was to go through suit pants and their cuffs to make sure no crumbs were hiding underneath. Tradition dictates that the Orthodox sell all of their chametz to non-Jews, and burn whatever they’re unable to sell. Swampscott resident Ellen Levine, who attends Chabad, sweeps and vacuums her house from top to bottom before Passover. In keeping with an old tradition known as bedikat chametz, she walks around with a candle the night before Passover to make sure there’s no chametz anywhere in the house. In the kitchen, she cleans out her refrigerator, cabinets, and countertops with boiling water. Then she uses a blowtorch to turn any chametz inside her oven into ash. 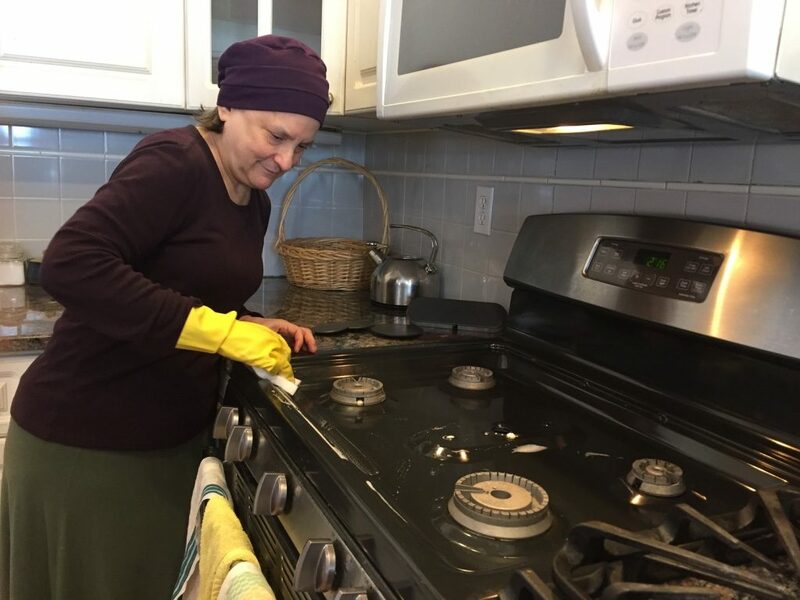 Once everything is cleaned, she replaces all of the dishes that have touched chametz with a separate set that she uses only for Passover. Levine estimated that among the Chabad regulars, more than half prepare to the extent that she does. In conservative and reform congregations, many observe a modified regime. Most attend a Seder. But there are wide variations, and personal traditions. Debi Melnick, who attends Temple Sinai, a conservative synagogue in Marblehead, puts all of her chametz in a drawer and does not take it out until the end of Passover. Even though she doesn’t keep kosher, Melnick observes the dietary restrictions of the holiday. “I remember going into Burger King with my brother during Passover and ordering a cheeseburger, but without the bun, because you couldn’t eat bread,” she recalled. Area orthodox, conservative, and reform rabbis all had different ways of saying that there is no one correct way to observe Passover. “We’re taught that every single time a Jew does any commandment, either knowingly or unknowingly, you’ve done a mitzvah, and every mitzvah brings joy into the world,” said Friedman, of Chabad. If during the week of Passover, a Jew eats the stack of pancakes from IHOP they were thinking about during the Seder, and then eats matzah, then they still have performed a mitzvah, and the act of eating chametz does not cancel out that mitzvah, Friedman explained.